Explanation: Asteroid 2007 TU24 passed by the Earth yesterday, posing no danger. The space rock, estimated to be about 250 meters across, coasted by just outside the orbit of Earth's Moon. The passing was not very unusual -- small rocks strike Earth daily, and in 2003 a rock the size of a bus passed inside the orbit of the Moon, being detected only after passing. TU24 was notable partly because it was so large. Were TU24 to have struck land, it might have caused a magnitude seven earthquake and left a city-sized crater. A perhaps larger danger would have occurred were TU24 to have struck the ocean and raised a large tsunami. This radar image was taken two days ago. The Arecibo Radio Telescope in Puerto Rico broadcast radar that was reflected by the asteroid and then recorded by the Byrd Radio Telescope in Green Bank, West Virginia. 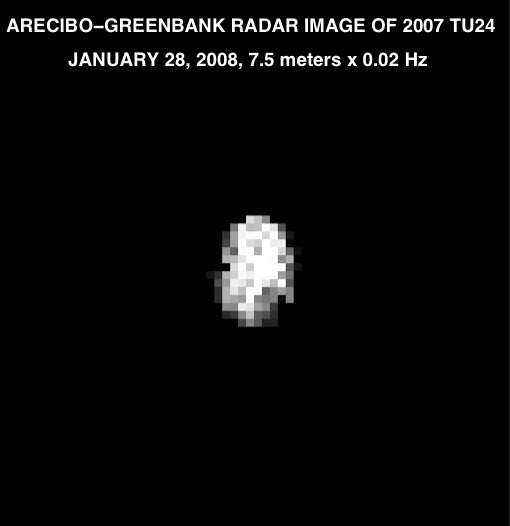 The resulting image shows TU24 to have an oblong and irregular shape. TU24 was discovered only three months ago, indicating that other potentially hazardous asteroids might lurk in our Solar System currently undetected. 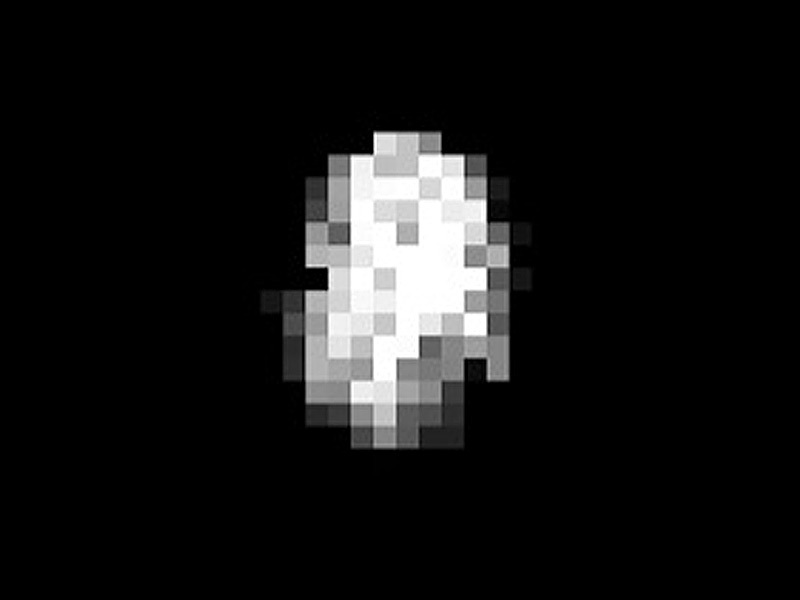 Objects like TU24 are hard to detect because they are so faint and move so fast. Humanity's ability to scan the sky to detect, catalog, and analyze such objects has increased notably in recent years.